Xiaomi's new Redmi 7 comes with a good upgrade over the predecessor Redmi 6 and is expected to be priced same. Last month, Xiaomi unveiled the new Redmi 7 series in China along with Redmi Note 7 Pro. The latter is already available in India and now, the former is expected to hit local stores near you soon. If the reliable sources of the popular Twitter spy Ishan Agarwal are to be believed, Xiaomi is expected to launch Redmi 7 in India soon. Also, the company might also bring a couple more phones—Redmi 7A and the camera-centric budget phone Redmi Y3. Going by the previous release pattern of Xiaomi product launch pattern, the aforementioned speculation may be half true. The Redmi 7 is most likely to debut first probably by the end of April or early May, but it very unlikely that the company will introduce two more products, which fall in the same sub-Rs 10,000 range. 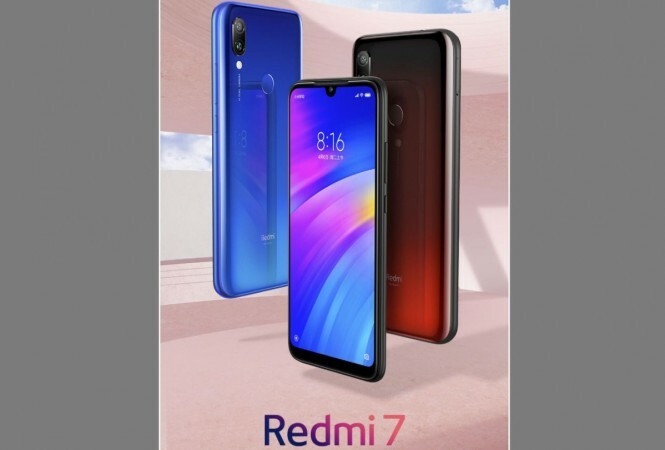 The Redmi 7A will definitely be priced less than the standard Redmi 7, but the company will wait at least a month, so that the latter gets enough time on the store shelf to good sales and only then, Xiaomi will add the Redmi 7A, as an additional option with low price. It can be noted that Redmi Go, which costs Rs 4,499 is making good sales in the country. Also, Redmi Y3 is likely to come much later in the year, as its pricing will be almost same as the Redmi 7. So far there is very little information on Redmi Y3 and Redmi 7A specifications, but like most of the Xiaomi devices, they will come with a good balance of features and affordable pricing in addition to upgrades over their predecessors—Redmi Y2 and Redmi 6A—, respectively. The new Redmi 7 sports the dot-notch display design, which is now the industry standard from flagship phones. With this change, the display is wider and with HD+ resolution, people will have a good time watching videos with less obstruction. It also features 2.5D curved Gorilla Glass 5 series shield, which not only adds value to the aesthetics of the exterior outlook but also protects the screen from damage during an accidental drop. On the back, it features a glossy shell with a finger sensor in the middle and dual camera 12MP+2MP sensors on the back. Under-the-hood, Redmi 6 successor comes packed with 14nm class 1.8GHz Qualcomm Snapdragon 632 octa-core processor, Android Pie-based MIUI 10, 2GB/3GB/4GB RAM, 16GB/32GB/64GB storage (expandable up to 512GB storage via microSD card), an 8MP selfie shooter and a 4,000mAh battery, which is enough to keep the phone running for more than a day under mixed usage. 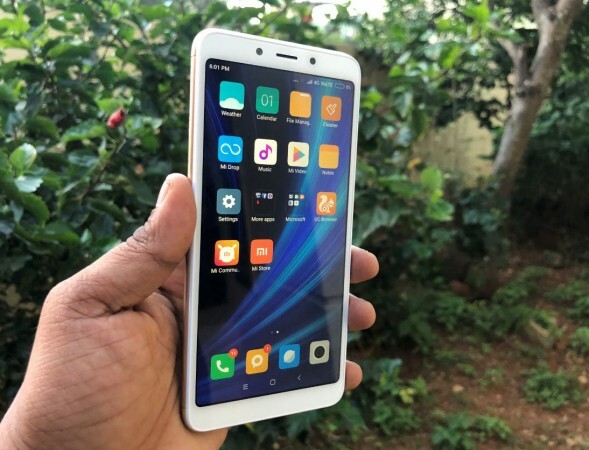 How much Redmi 7 would cost in India? Xiaomi is already offering Redmi 7 in three configurations—2GB + 16GB, 3GB + 32GB: ¥799 and 4GB + 64GB— for ¥699 (around $104/€92/Rs 7, 143), (around $119/€105/Rs 8,164) and ¥999 (around $149/€131/Rs 10,209), respectively in China. It will be offered in three colour options—Black, Blue and Red. In India, Xiaomi likely to sell Redmi 7 for same price, as the company assembles the phones locally and will pass on the benefits to the consumers.